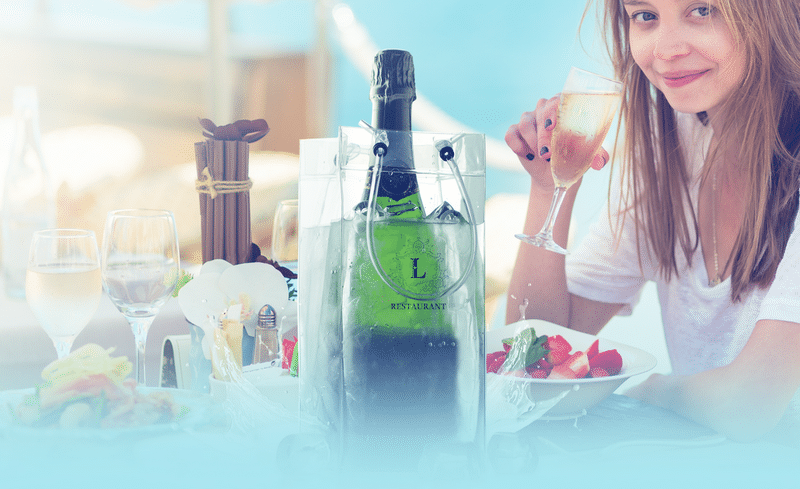 Gimex International has revolutionized the ice bucket and the world of wine and champagnes with a unique, new concept, the Ice bag, foldable ice bucket. This patented product has been growing ever faster in popularity with wine vendors, businesses, hotels, restaurants and shops around the world. 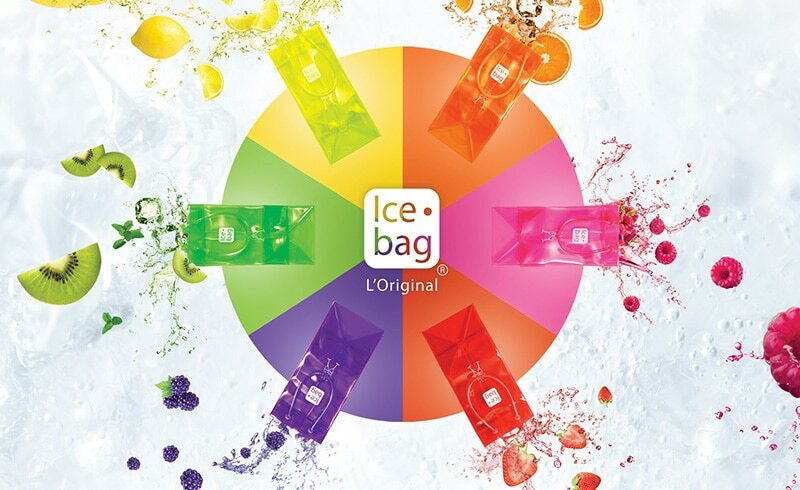 The Ice bag has an ultra-modern look, is flexible, light and offers users multi-functional qualities; use as a gift bag, a carry bag, an attractive display tool or add ice to chill your wines and champagnes… Designed using PVC-based materials, the foldable ice bucket is also robust, easy to clean and fully customizable for promoting your brand label. 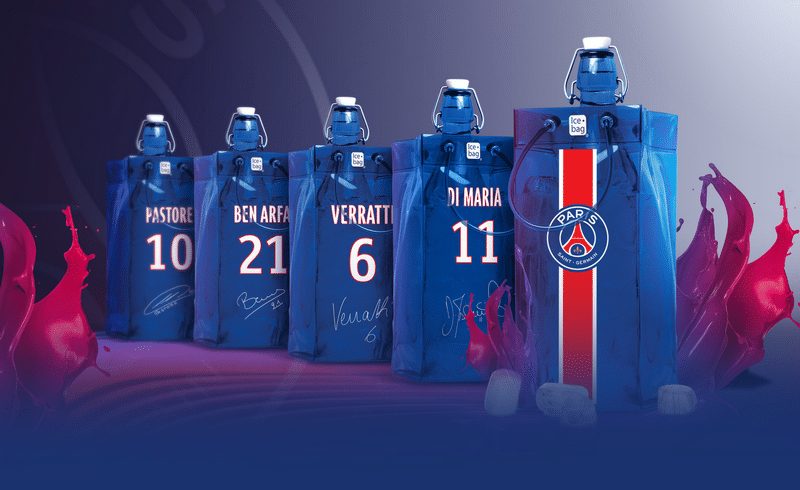 We invite you to view our collections of foldable ice buckets, we have designed 40 standard models, for one to four bottles. 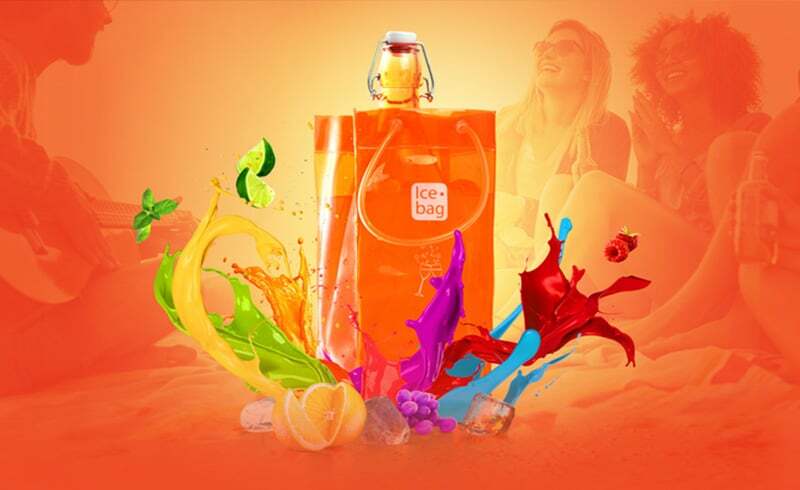 You will discover a range of styles, dimensions and themes, from everyday use buckets to luxury and VIP items for business events and promotions… the Ice bag design team also offers a complete made-to-measure service for unique products that match your creative ideas. If you would like any further information about our foldable ice buckets and services, do not hesitate to contact us.